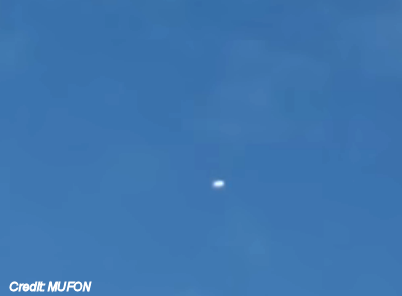 A Kansas witness at Abilene reported watching and videotaping a blimp-shaped UFO moving over a local park, according to testimony in Case 78235 from the Mutual UFO Network (MUFON) witness reporting database. The witness was outside on a walk in a local park when the object was first seen on August 4, 2016. The witness saw three different objects.